Practice arts where arts are practiced. Discovery lies at the heart of our enterprise. 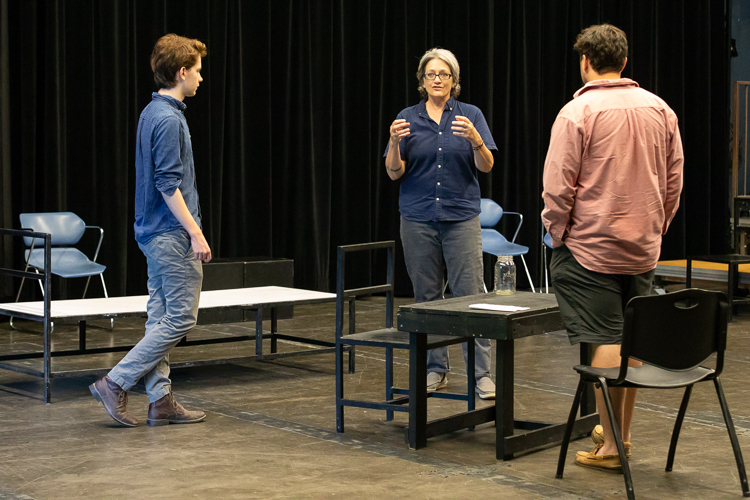 Our faculty collaborate across disciplinary boundaries, catalyze creativity in the classroom, cultivate artistic excellence in the studio, illuminate in their writings how art makes meaning, and contribute to the cultural vitality of our world. Arts faculty, with the active participation of our graduate and undergraduate students, continuously expand the frontiers of knowledge through their creative productions and scholarly research. Nationally and internationally acclaimed, our award-winning faculty also collaborate with local and regional artists and cultural organizations, helping to make Seattle a place where the arts are widely practiced. With over a hundred distinguished artists and scholars, the Arts’ faculty possesses a remarkable range of expertise, connections, and experiences, collectively offering students exceptional access to the breadth, depth, and dynamism of the arts.